Single bowl hand fabricated 20 gauge dual mount sink. Faucet ledge has 1 hole faucet drilling. Sink may be installed above or below counter. Rear drain for more storage below. Bowl sloped to the center of the waste hole and drain lines for efficient draining. Commercial satin finish is a lovely complement to commercial look appliances, and easy to maintain. 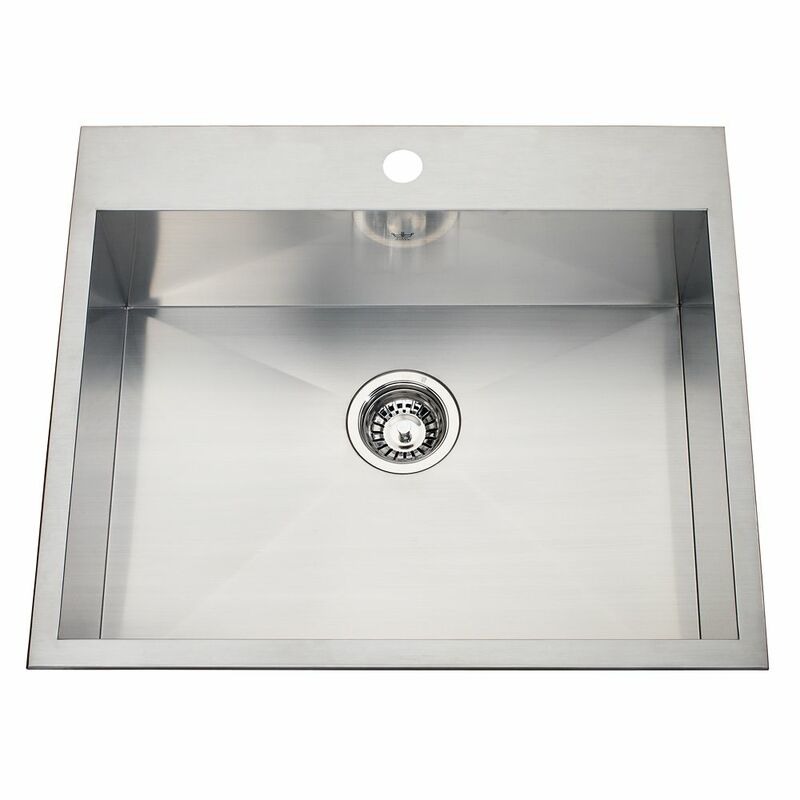 Handcrafted in Germany, BLANCO RADIUS sinks reflect BLANCO's commitment to superior quality. Strong in character and uncompromising, BLANCO RADIUS has 10mm radius corners for easier cleaning. Features functional X-pattern drain grooves. Two bowl top mount 20 gauge sink, small bowl right hand position. Sink is shipped complete with two stainless steel bottom grids to protect the sink from scratches. Sink features hard wearing satin finished bowls, and silk finished rims, rear drains for more storage below the counter, Spillway<sup></sup> partition between the bowls to prevent water on the counter, and a faucet ledge with 1 hole drilling. 20 Ga HandFab DM single sink 1 hole drilling Single bowl hand fabricated 20 gauge dual mount sink. Faucet ledge has 1 hole faucet drilling. Sink may be installed above or below counter. Rear drain for more storage below. Bowl sloped to the center of the waste hole and drain lines for efficient draining. Commercial satin finish is a lovely complement to commercial look appliances, and easy to maintain.